Light easterlies turning west, part cloudy. Playback on Reed-, Aquatic-, Garden- and Grasshopper Warbler overnight. 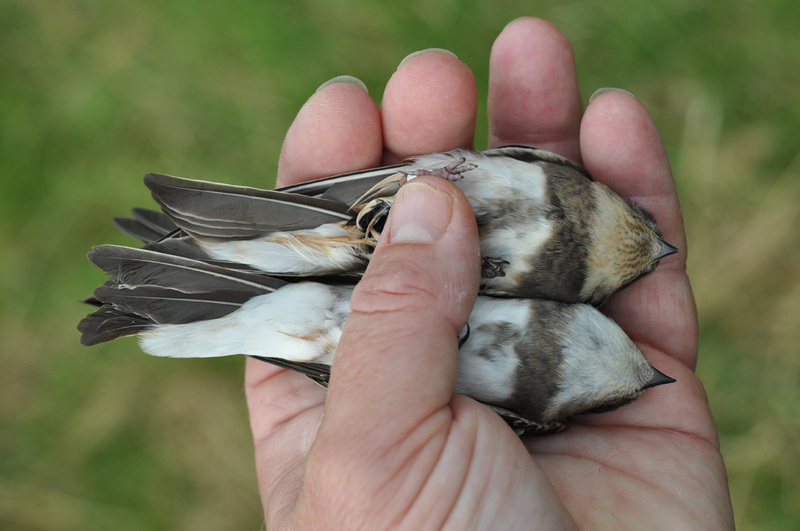 Meadow Pipit, Tree Pipit, Barn Swallow and Sand Martin during the day (the latter two only part of the day). Nets open 05.30-20. Netmeter hours approx. 4300. Ringed: Sand Martin 45, Barn Swallow 25, Tree Pipit 18, Meadow Pipit 34, Redwing 1, European Robin 1, Northern Wheatear 1, Common Redstart 1, Grasshopper Warbler 3, Reed Warbler 1, Sedge Warbler 2, Common Whitethroat 2, Willow Warbler 13, Tree Sparrow 1, House Sparrow 1, Chaffinch 2, Common Linnet 1. Total = 155. 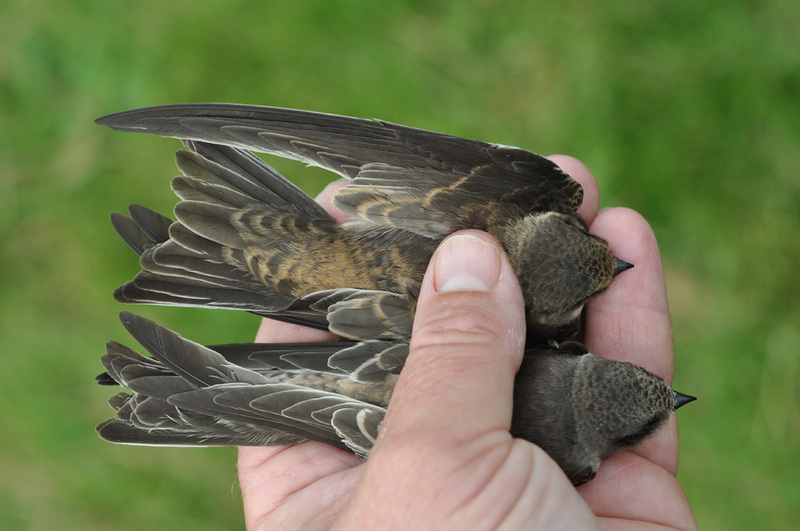 Lots of Sand Martins in the area today, and some were trapped using playback. Notice the variation in plumage among 1 cy birds, some are distinctly more rufous. Sandsvale, fargevariasjon blant 1K. Ringmerket: Sandsvale 45, låvesvale 25, trepiplerke 18, heipiplerke 34, rødvingetrost 1, rødstrupe 1, steinskvett 1, rødstjert 1, gresshoppesanger 3, rørsanger 1, sivsanger 2, tornsanger 2, løvsanger 13, pilfink 1, gråspurv 1, bokfink 2, tornirisk 1. Total = 155. Observations: Common Crossbill 25+ flew high over, Yellow Wagtail 6+. Haavard Husebö and Alf Tore Mjös. 2 visitors.